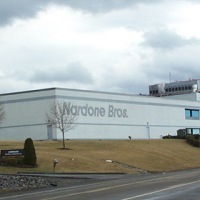 Nardone Bros. Bakery is a 70,000 square foot facility that houses the production line equipment, refrigerated storage, shipping and corporate offices for the company. The design Arris provided included all aspects of engineering from developing design drawings to performing final punch-list inspection. Arris also assisted the owner in specifying, engineering and procuring the production line equipment for the project. Production systems included refrigeration compressors, condensers, cooling towers, condenser water pumps, air compressors, baking ovens, spiral tower freezers, conveyors, palletizers and automation systems.